Ruger is known for working on guns its fanbase likes but they do venture outside of their comfort zone and challenge themselves. American 9 pistol was built with US Army's Modular Handgun System in mind and has the features called for in the solicitation. 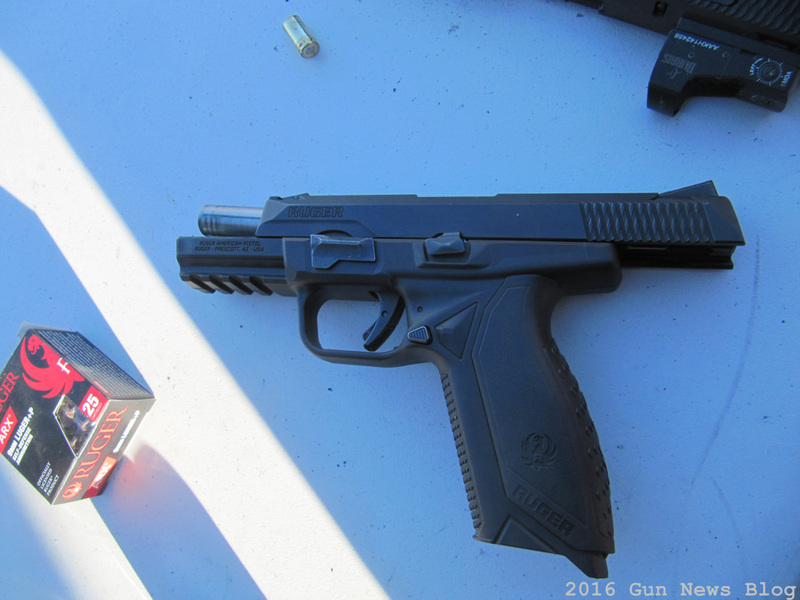 However I was not able to get a straight answer from Ruger if they will submit this pistol or not. The actual shooting took out some of excitement. The trigger was not exactly the best in the market and it took some time to get used to. Reset was long and the break was just a bit too soft. Some people pointed out the bad ergonomics that hurts the web of finger and unfortunately have to agree with it. Hopefully Ruger can fix it a bit more.